The next speaker in the UFV President’s Leadership Lecture Series is Dr. Derek Harnett, winner of the 2016 UFV Research Excellence Award. Harnett will speak about the most pressing issues facing subatomic physics today, how Canadian physicists plan to address them, and what we might we discover through this research. 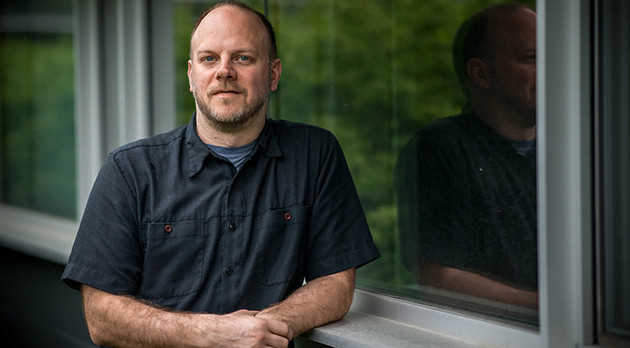 Harnett has been changing the way UFV students view the world since 2003. His research in subatomic physics explores things we can’t see and that might not even exist. Working with graduate students on calculations that take months to complete, his commitment to the next generation of physicists is rivaled only by his passion for his work — the practical implementation of which might not be known for hundreds of years. This is a free lecture open to UFV faculty, staff, students, and to the community. Abstract: It has been known since the early 1970s that protons and neutrons are made of even smaller particles called quarks. But protons and neutrons are just the most familiar examples from a large collection of particles called hadrons, all of which are built from quarks. For decades, all observed hadrons fell into one of two families, baryons and mesons. However, theoretical considerations would seem to allow for (if not demand) more variety. In this presentation, we will discuss the main ideas behind the quark model as well as the ongoing search for new families of hadrons beyond the baryons and mesons.